Night is the time for sleep. Sleep is the time for recovery. Recovery is the time to restore peak performance. More than 70 million people in the United States suffer from sleep disorders including insomnia, narcolepsy, and sleep apnea, which inhibit their abilities to perform everyday activities. These sleep disorders contribute to poor performance, accidents, and increased health consequences such as high blood pressure, diabetes, and heart disease. 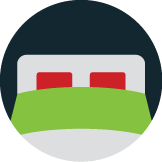 Welcome to Sleep Dynamics, Jerseys leading resource for a better a night’s sleep. Using years of medical experience and highly-effective therapeutic solutions, we help people of all ages get the best sleep of their lives. No matter what’s keeping you from a restful night’s sleep, come in for a consultation, and we will do a complete evaluation to help you with your sleep. Call us today at (732) 455-3030. Our sleep specialists will help put you on the road to a better night’s sleep today! 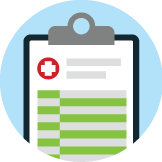 We provide all the required services needed to diagnose, treat and support patients with sleep disorders. We offer a sleep center with the latest diagnostic technology and highest level of comfort and care to ensure a successful outcome for the patient. 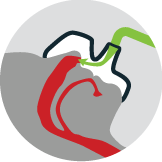 Simple in its concept, the CPAP device sends a gentle, steady stream of air through the nose and into the back of the pharyngeal cavity. Our BSM program responds directly to the significant need for treatment and patient preferences. For treatment of obstructive sleep apnea, we also offer another non-surgical alternative, the use of oral appliances. A better, healthier night’s sleep is your ultimate goal. It’s ours too. We work diligently to find the right solution for your specific sleeping condition. From medical solutions to therapy, dental sleep medicine and oral appliances designed to help you, we explore each and everyone of our many resources to help bring you the best sleep possible. As CPAP therapy specialists, we specialize in addressing sleep apnea issues in patients of all ages. We also provide diagnostic assessments and behavioral sleep medicine for individuals suffering from insomnia and narcolepsy. Let our sleep specialists help you get a better, healthier night’s sleep — explore our page, and call us today! Our sleep services range from diagnostic tests and detailed sleep management programs to a host of medical solutions tailored to help your specific condition, we take a comprehensive approach to sleep treatment. Read on to learn how our specialists at Sleep Dynamics can help you get a healthy and restful sleep in no time. More than 50 million Americans suffer from some kind of sleep disorder such as sleep apnea, narcolepsy or severe insomnia. 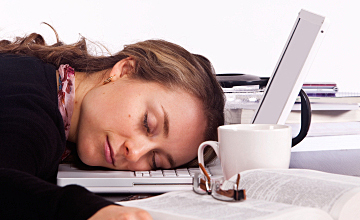 Narcolepsy is a chronic sleep disorder characterized by excessive daytime sleepiness and sudden attacks of sleep. The extreme tiredness that a narcoleptic experiences causes them to suddenly falling asleep mid-day despite the fact they may be getting sufficient sleep at night. Sleep Dynamics is a state of the art sleep center located in Neptune NJ and Middletown NJ and serving Monmouth and Ocean counties. 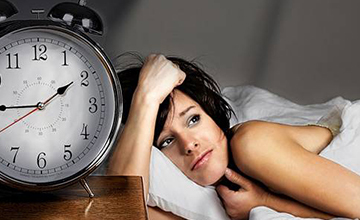 We are dedicated to providing complete evaluation, testing, diagnosis and treatment of all types of sleep disorders. Our centers consist of private hotel-like suites and a sophisticated control area that monitors brain, heart, muscle and breathing activity while you sleep. Founded in 2007, Sleep Dynamics is staffed by experts in the field of sleep medicine. 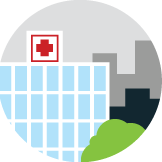 Sleep Dynamics is one of the few recognized independent sleep centers to hold ambulatory care licensure with the New Jersey Department of Health and Senior Services. Our mission is to be the premier provider of sleep disorder services by providing patients with the latest in diagnostic and therapeutic technology, medical expertise, and overall patient care. We pride ourselves on providing each patient. Comfort Sleep operates under the direction of Dr. Douglas Livornese, who has over ten years experience in the treatment of sleep disorders. He is the area's first physician to be board certified in sleep medicine by both the American Board of Sleep Medicine and the American Board of Internal Medicine. He is a Diplomate of the American Board of Sleep Medicine and the American Board of Internal Medicine. He trained in a formal Sleep Disorders fellowship at the Medical College of Pennsylvania / Hahnemann University in Philadelphia. He is also trained in Internal Medicine, Pulmonary Diseases, and Critical Care Medicine. 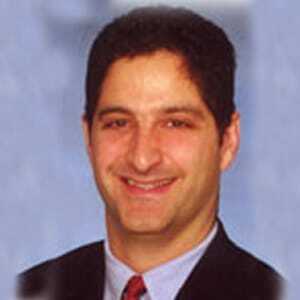 Dr. Livornese is also Board Certified in Internal Medicine, Pulmonary Diseases and Critical Care Medicine. Dr. Livornese holds the title of Fellow in the American Academy of Sleep Medicine, the American College of Chest Physicians, and the American College of Physicians. Among his professional organizations he holds membership in the American Academy of Sleep Medicine, the American College of Chest Physicians, the American Thoracic Society, the American College of Physicians and the Society of Critical Care Medicine. Dr. Davis is board certified in Sleep Medicine and Neurology by the American Board of Psychiatry and Neurology and is one of the only neurologists in the area to have expertise in sleep medicine. Dr. Davis received his medical degree from the University at Buffalo and subsequently completed an internship in internal medicine at North Shore University Hospital in Manhasset, N.Y. He continued his training in Neurology at the University of Maryland Medical Center in Baltimore, Md., where he was also chief resident. Dr. Davis further completed a fellowship in Sleep Medicine also at the University of Maryland. Dr. Davis sees adults and children with a wide variety of sleep disorders. He has special interest in neurologic disorders of sleep, including narcolepsy, restless leg syndrome and insomnia. Dr. Bixby welcomes the opportunity to talk with you in person about how oral appliance therapy can help manage your Snoring, Sleep Apnea or CPAP Intolerance. 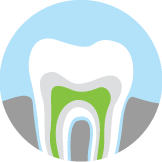 Dr. Bixby is the Dental Director at Sleep Dynamics Center for Diagnosis of Sleep Disorders located in Neptune City and Middletown, NJ. His practice is limited to dental treatments for Snoring, Sleep Apnea and CPAP Intolerance. He is a Fellow of the Las Vegas Institute (LVI) for Advanced Dental Studies, the world-renowned educational center for aesthetic and neuromuscular dentistry. Dedicated to offering his patients the benefits of advanced dentistry, Dr. Bixby is committed to continuing education. Over the past 30 years, he has completed many courses in various aspects of general dentistry, sleep disorders, and temporomandibular joint dysfunction, including LVI’s Sleep Breathing Disorders Program. Dr. Bixby earned his doctor of dental medicine degree from the University of Medicine and Dentistry of New Jersey in 1974. He is certified in laser dentistry, is a Fellow in the Academy of General Dentistry, a Diplomat in the American Society of Forensic Dentists, also a member of the American Academy of Sleep Medicine, the American Academy of Dental Sleep Medicine, Dental Organization for Sleep Apnea and the American Sleep Apnea Association. In his free time, Dr. Bixby enjoys travel, golf, woodworking and family activities with his 4 children and their families which include 6 grandchildren. Dr. Bixby has studied and researched extensively to help his patients solve, or at least minimize, their sleep apnea and snoring problems. Dr. Bixby offers a number of solutions for these difficult problems.